This site was originally created in 1990 by Robb Mavins as an internal document that served several purposes. Education of Canadian Forces Cadet Instructor List officers in allied & NATO rank structures. Education of UN posted officers in allied & NATO rank structures. The author was at the time part of a UN consulting group creating an international standard for rank insignia discussions and notes. 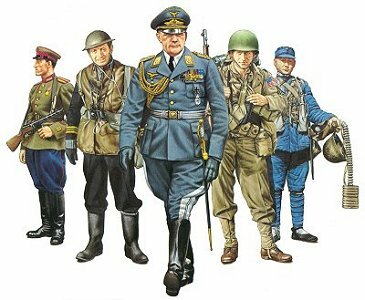 Basically this site is dedicated to study of rank insignia and military organization. The original focus of this site was sea and naval forces. This includes sea auxiliary, marine, merchant navy and coast guard forces. Information included is on historical as well as current forces. Also you will find links to some of the best resources on the net, a bibliography and links to the services featured herein. I do not generally translate ranks or use equivalencies. Instead I try to always use the actual rank title in the original language. If the alphabet is a non western (English) then I provide where possible an the "official" English language term. If the Russian Navy rank title is actually Kапитан 3-го ранга , then I would give it and the English literal term Kapitan Tretyego Ranga rather than "Commander". The Israeli rank of ןגס would be Rav-Seren rather than "Lieutenant Commander". User contributions & updates are welcomed. This site is for informational and research use only and may be distributed and copied freely, in its entirety, for such use. All original author and copyright information must remain intact. This is a hobby - Any sales or other uses of this document are expressly forbidden, without the specific consent of the author. If you need further information see Contacts. As noted, most of the insignia on this site have been drawn by the author and/or come from official sources. If insignia comes from another source it is acknowledged and noted on the actual page. Questions, corrections, updates or other comments about this site are welcomed and may be sent to: Robb Mavins. The home site for this page is http://rankmaven.tripod.com/ ( Rank Maven ). Artwork & Text Copyright © 2001 - 2004 Robb Mavins. All rights reserved.